It's always funny when people from gloomy, snowbound places ask us Floridians silly questions like: "Don't you miss the seasons?" "No," you laugh as you turn over on your deck chair mid-March. "Not a bit." 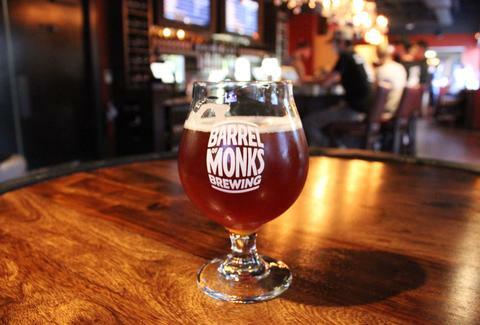 Barrel of Monks takes a traditional spring seasonal Belgian beer and -- using one of the most common Belgian ingredients in history -- gives this beer the unique twist that South Florida is always craving, while bringing a certain beer harmony that the Belgians have been mastering for centuries. This bright, crisp Pilsner still has a little bit of an earthy/piney flavor, with a sweet finish. Definitely something you’ll want a few of on a hot day, as long as you’re storing them super cold. When Funky Buddha does flavor, it doesn’t mess around. 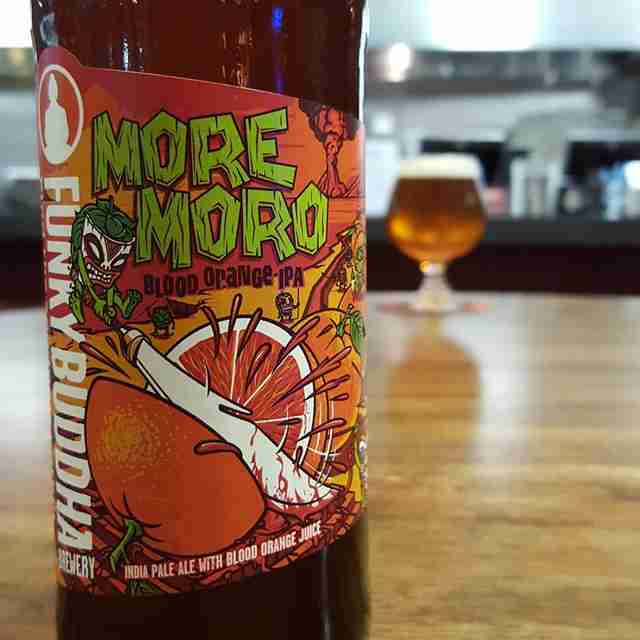 This IPA goes with the traditional moro flavor -- blood orange with a red, citrusy tone -- and adds, well, more. Like, double. It has an almost dark citrus taste with a hop-forward nose, and a grapefruit finish. Very drinkable. “Subtle” would not be the word to describe this beer. It expresses its Florida roots by going completely overboard on everything. In one sip you’ll get blown away by both its hoppiness and malt flavors. If you’re into big and bold, no beer in the state is putting it in your face like this one. 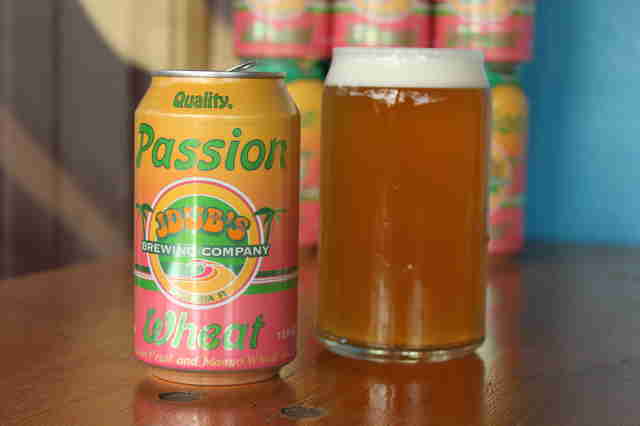 This new release from Sarasota’s best brewery has strong notes of passion fruit and mango, and offers much of what we’ve come to expect from one of the top makers of Florida-style beer. Though it’s a new release for spring, word on the street is it may be around for a lot longer. Coppertail’s flagship beer resonates with chewy hops and a sticky, bold citrus. You’ll also get notes of pineapple, mango, and, of course, caramel. It’s a high-ABV double IPA, so don’t expect anything light. But the Florida citrus makes it a much crisper variety than you’ll find elsewhere. 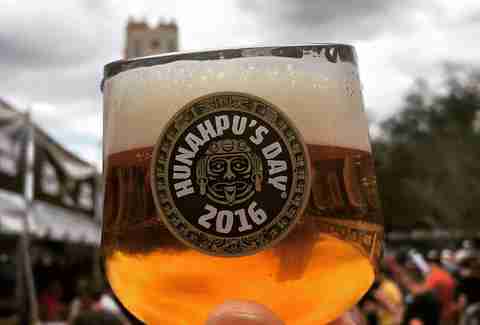 OK, we know, it’s a year-round beer. Or, at least, it’s year-round if you can find it. 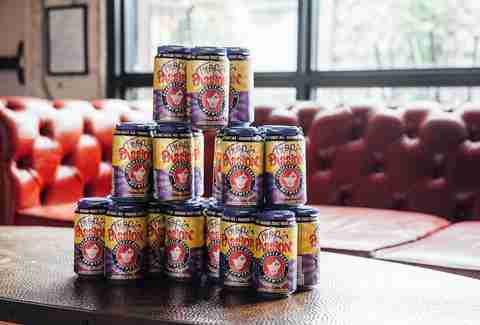 J. Wakefield’s signature brew is a brightly colored dragon fruit/passion fruit beer, and even if you can’t find the original, there's always an equally impressive version floating around South Florida. Lee tells us this beer has a great color, a refreshing fruit-and-tart flavor, and is the perfect sipper for spring cleaning. You’ll only find this on draft at the brewery, but if you’re in the area, it’s definitely worth a stop. It’s a surprisingly floral, citrusy red IPA that doesn’t overwhelm you with malt and has hints of caramel and hops. The release of this imperial stout is so anticipated, the brewery holds an entire beer festival for its unveiling during the second Saturday in March. It's not quite a spring beer, as it pours especially dark and has flavors of tobacco, smoke, chocolate, and cinnamon, but you won't find anyone complaining. Unlike a typically malty Märzen, this far more balanced imperial variety uses pilsner and Munich malts along with German yeast. It’s dry hopped to give it a hoppier flavor than you’d typically expect, with a rather surprising but pleasant aroma. The name is pretty appropriate, since the fruity, spicy, clove-laced flavor will have you quickly forgetting this packs a whopping 11% ABV. So while you might be tempted to have more than one, if your plans were to stay out for more than a beer, don’t. 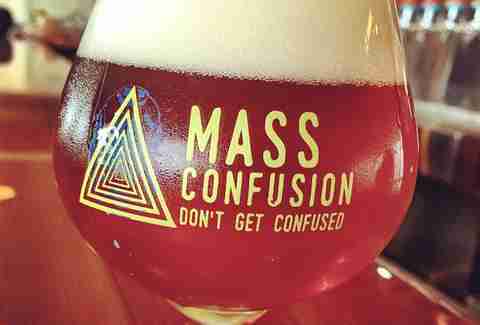 It’ll be available on April 30th, day two of the Mass Confusion event held at the brewery, then released into distribution. The Sizzler is a true-to-style saison that’s smoothed out by six months of aging in white oak chardonnay barrels. It’s then treated with black malt after fermentation for its color. It has tones of dark fruits, licorice, and even a little bubble gum, and is one of the easiest-to-drink dark beers you’ll find. This is a super-smoothed-out IPA that definitely has that hoppy start, but is quickly mellowed by the sweet honey and citrus notes and leaves almost no aftertaste. Most of the existing supply is gone, but Julian tells us he’s got a few cases and a keg left at Riverside if you want to swing by. 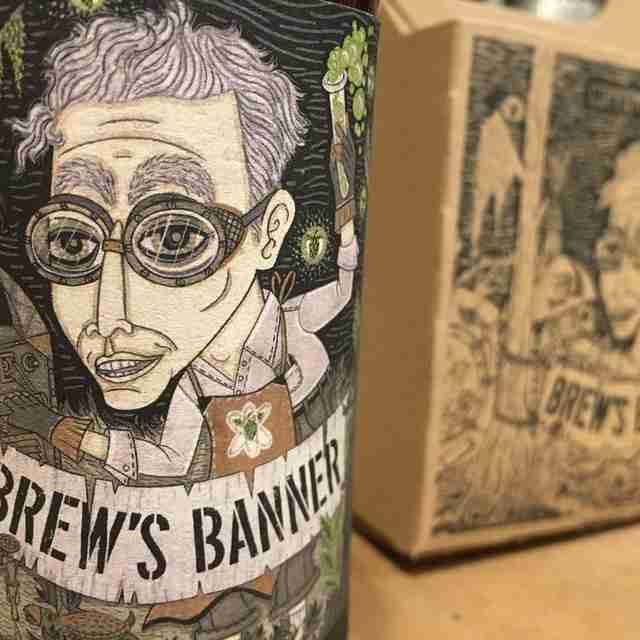 This small Broward brewery helmed by beer guru Adam Fine brings us this traditional wheat beer with strong watermelon favors. The fruitiness isn’t overpowering, though, and this isn’t a sweet beer as much as it is a tribute to the local agriculture. Matt Meltzer is a staff writer with Thrillist who wishes the rest of the country could jump on the citrusy wheat beer trend. Follow him on Instagram @meltrez1.